When it comes to restaurants, nothing quite says classy like fresh table linens and napkins. Dining is about more than just the food – it’s about the experience. Table linens and napkins instantly upgrade the atmosphere of your restaurant and and enhance your restaurant image. As a local business, we understand the importance of maintaining a good image in a close-knit community. Your reputation is everything. Our restaurant table linen will keep guests coming back to your tables day after day. 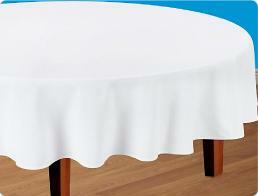 Take a look at our full line of tablecloths and napkins, then contact us to learn more about our local services! Our high-quality tablecloths are the perfect addition to your restaurant table, creating an instantly upscale atmosphere. Select premium colors available. Whether you’re looking for a laid-back bistro napkin or a colorful fine dining napkin, we have the perfect product for you. 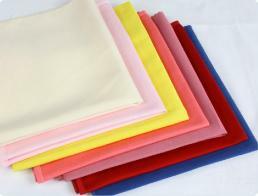 Check out the different napkin colors we offer below! Our anti-fatigue mats combat the effects of standing for long periods of time, improving your employee comfort and productivity from the kitchen to the register. There’s no excuse for a smelly bathroom. Our efficient urinal screens will mask the unfortunate odors of your public restrooms. Your employees are a reflection of your restaurant. We can help them look their best at all times. If your customers look down, the last thing you want them to see is a dirty floor. Our dust mops deliver clean surfaces.